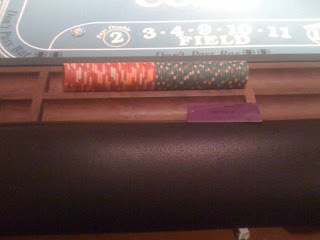 TheWirk.com ~ voted BallHyped.com's 2010 "Best Independent Sports Blog": Layover in Vegas? Hit the craps table, and win big quickly! Layover in Vegas? Hit the craps table, and win big quickly! I had some time to kill... I didn't know why I booked the flights I did and then it hit me. I booked the itinerary since the plane connected in Las Vegas. So what does one do with a 3 hour layover in Vegas? I don't know what other people do, but I definitely had a plan. Ok - I probably actually only had about 2 hours to get out of the airport, catch a cab, throw my bag at a bell stand, place a bet, chat with friends, hit the craps table, WIN BIG, cash out, get lunch, head back to the airport, clear security, and board my plane. 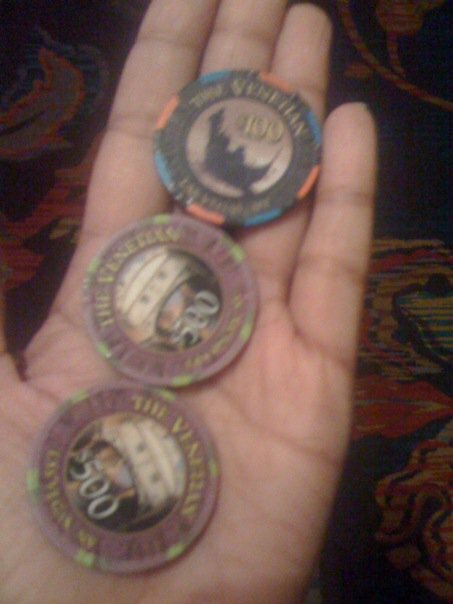 I went to my favorite place, the Venetian and checked the boards. While I settled in and looked at the numbers I realized just how quiet it was in the place. Oh well - better for me, so there were no lines and I could maneuver and do what I wanted to do efficiently. I placed my bet for Game 7 for the Boston Celtics v Los Angeles Lakers game. Who did I take? Well, maybe I'll tell you and/or post a picture of the ticket after the game tomorrow night. After chatting it up and catching up with my favorite dealers, I went to the craps table and cashed in $200. There was only one craps table open and as usual, I was the only girl. In about 20 minutes I had 3 shooters and the last shooter made me my money. Since it was an off-peak time, the table minimum was $10. I seem to win faster and better when I'm on a time crunch. It's just something I noticed about myself. Regardless, this outing was no different. All of my come bets had may odds and were paying out and he also hit a hard 6. Wouldn't you know I had $20 on "Scottie Pippen" and it paid 10X1. Having to catch my flight, all my bets came down and it all worked according to "plan". I looked around the table and I was impressed at how well I'd done in such little time compared to the oldies (i.e. but goodies) that surrounded me. What can I say? My dad taught me well!